The WSOP’s Millionaire Maker Shatters the Turnout Record for Non-Main Event Tournaments. 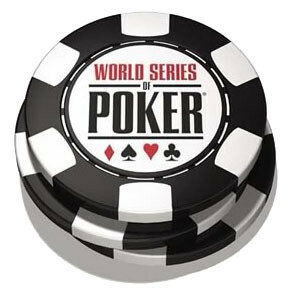 WSOP Tournaments rarely pay out more than $1 million for finishing first. The ones that do are either the Main Event, or special events that feature buy-ins of $5k or more. But for the first time in the WSOP’s storied history, the average Joe will have a chance to parlay a small investment into a seven-figure payday, thanks to this year’s Event #6, the aptly titled Millionaire Maker. The turnout for this historic event exceeded all expectations, proving once and for all, that the poker scene is alive and well. A record breaking 6,343 participants showed up for the event, shattering all previous records for a non-Main Event tournament. Originally slated as a three-day tournament, the huge turnout forced the tournaments directors to add a fourth day, meaning that the eventual champion will be crowned on Tuesday. As of Monday evening, less than 60 players remained, with more dropping fast. Thanks to the mammoth turnout, the first-place finisher will receive $200k more than the original $1 million guarantee. Additionally, everyone who makes the final table will be rewarded with a six-figure payday, marking the first time a tournament with a less than $5,000 buy-in has paid over $100k to the top nine places. Walking into the Rio this past Saturday, one would think that players were participating in Day 1 of the Main Event. Swarms of tables littered the famous casino, as thousands of hopefuls took their shot at poker glory. The blind structure for low buy-in tournaments is accelerated, and with each player only starting with 4,500 in chips, players began dropping like flies. After Day 2, only 15 tables remained, as the remaining 133 players would vie for the title. In total, 648 players will make the money, with a minimum cash worth $2,700. To put the sheer size of the tournament in perspective, last year’s main event only drew 255 more players than the Millionaire Maker. Many people attribute the imminent return of online poker in the United States as one of the reasons for the WSOP’s popularity surge. Others are just happy to see more tournaments featuring low-ins and high payouts, much like they have online.